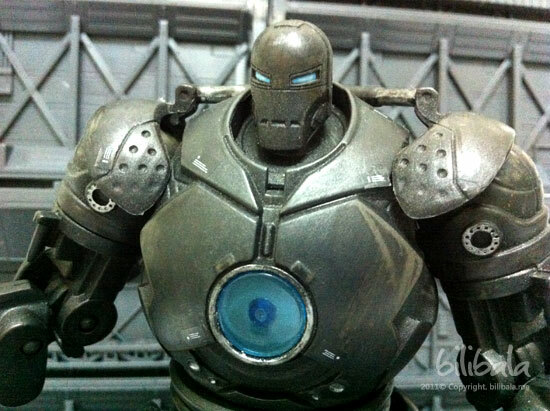 Home » Toys & Collectibles » Best Hasbro Iron Monger! I like Ironman due to his high tech gadgets especially the Iron Man suit which virtually can make any man indestructible. And of course, the ability to fly freely is another attractive point of the suit :p Enough saying, what i am going to write today is not Ironman, but an ironman wannabe villain, the Iron Monger. 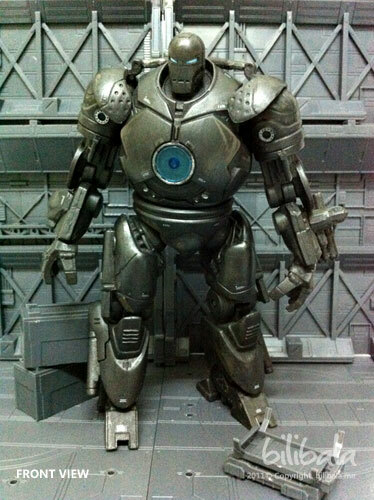 If you still remember, the Iron Monger is the 1st villain in the Iron Man Movie which has the alter ego of Obadiah Stane. 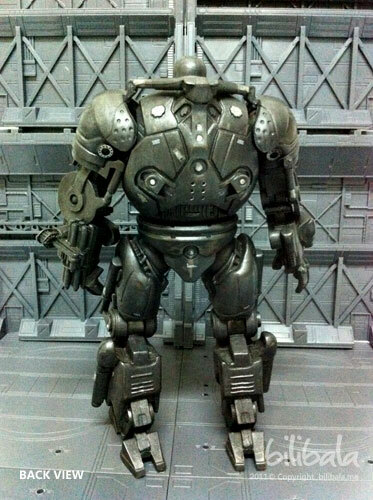 And the Iron Monger was actually following the 1st blueprint of the IronMan suit developed by Tony Stark during his hostage in Afghanistan. I got this toy like 2 years back and it is Hasbro manufactured. 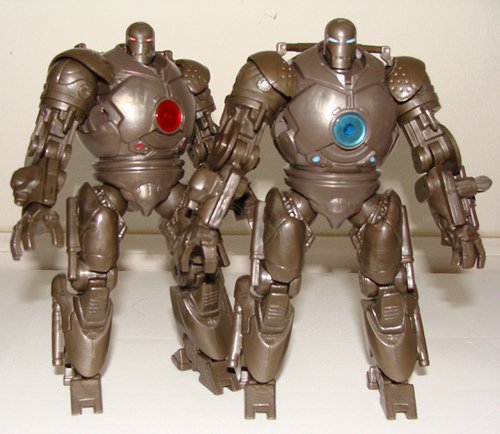 The color you seen here DOES looks nice compared to the original toy which Hasbro released. The reason being i got a friend, Tzuen, helping me to hand paint and brushed the entire toy again to give the more realistic touch of metallic to it. This is the 1st and only re-painted toy i have currently and thanks to Tzuen! I got this wonderful piece of collectible! BIG THANK YOU! The one that i have is the blue colored chest plate one. Pictures taken from the internet 🙂 You will see how DIFFERENT as this review goes on. Read on! 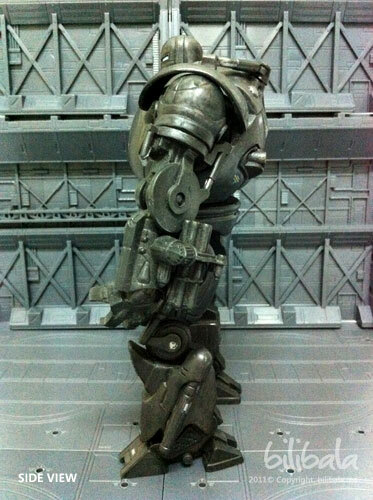 The overall built quality is very solid and the whole figure itself is quite heavy on hand. 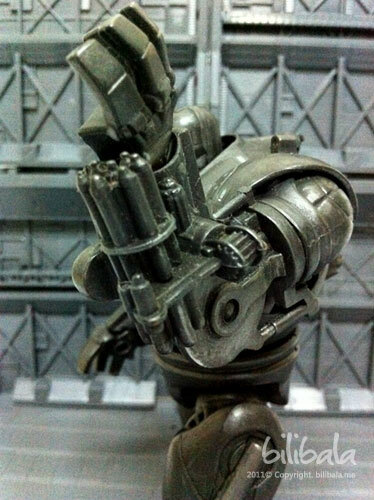 However, the joints are quite loose (which is typical for hasbro version toys) especially the middle arm joint. Didnt really expect much from the original coloring as what you can see in the picture above, it is just base brown plastic color which they dont even spend on painting it. Guess much of the painting cost goes to the overall plastic and the middle blue colored chest plate. Well, being the fact i dont really much like the original color, Tzuen offer his help in repainting the whole figure into something like below from different perspective. The touching up of the coloring by Tzuen is great and you notice how realistic the metallic color is. He further topped up the detail by sticking gundam stickers on them which you can notice those small white patches here and there. The figure itself has a few points of details which is worth to mention. First off, the attached machine gun on the left arm. 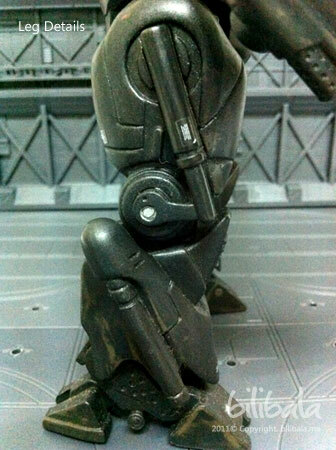 Mechanical legs with tasty and rusty metallic coloring + Gundam sticker. 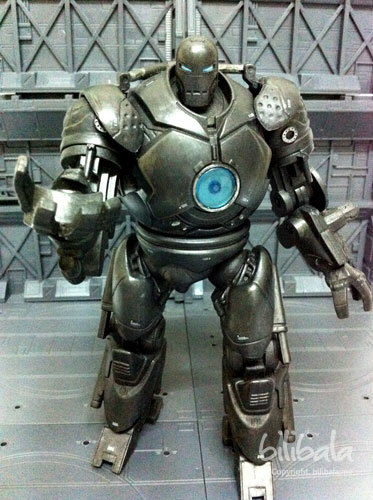 The original hasbro version of the iron monger is really not worth a mention. But thanks to the magic touch of repainting being done, the whole figure is being “transformed” into a high grade figure. And i really thanks to Tzuen on his hardwork of helping me to repaint the whole figure and the passion to bring out all the details in it as well. 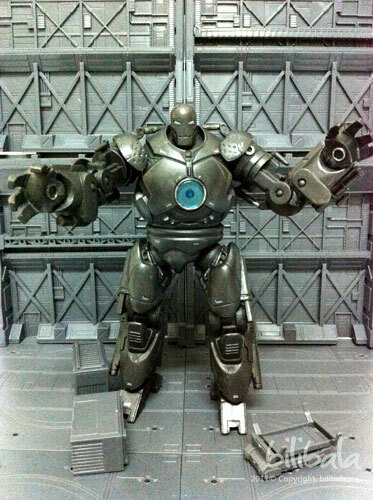 If you really interested in getting one, guess you have to repaint or ask someone to help you to paint in order to have the perfect piece of Hasbro Iron Monger. 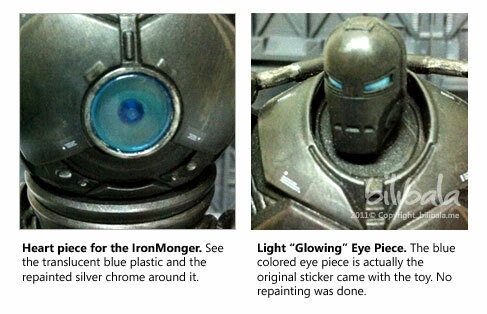 My personal rating to this Repainted Iron monger will be 9/10! You should give the repaint a brilliant 10 out of 10. Heh.